This mom is getting a good night's rest every night! Like many people, I’m particular when it comes to pillows. The perfect pillow for me is not too hard, not too soft, but just right. That is, of course, hard to find. Years ago, after my favorite pillow started looking a little too stained and grimy, I moved on to a memory foam-type pillow, which my husband raved about. While I used it for several years, I never really liked it. It was heavy and I always had to knead it back into shape after my head made an indentation from a night’s sleep. So, about a month ago, I ordered a gel pillow on Amazon, and I’ve been sleeping on it ever since. The pillow is an Amazon’s Choice product and has more than 5,000 reviews with a 4.4-star average. I had to give it a try! I chose the queen size, but the pillows also come in standard and king. The best part? 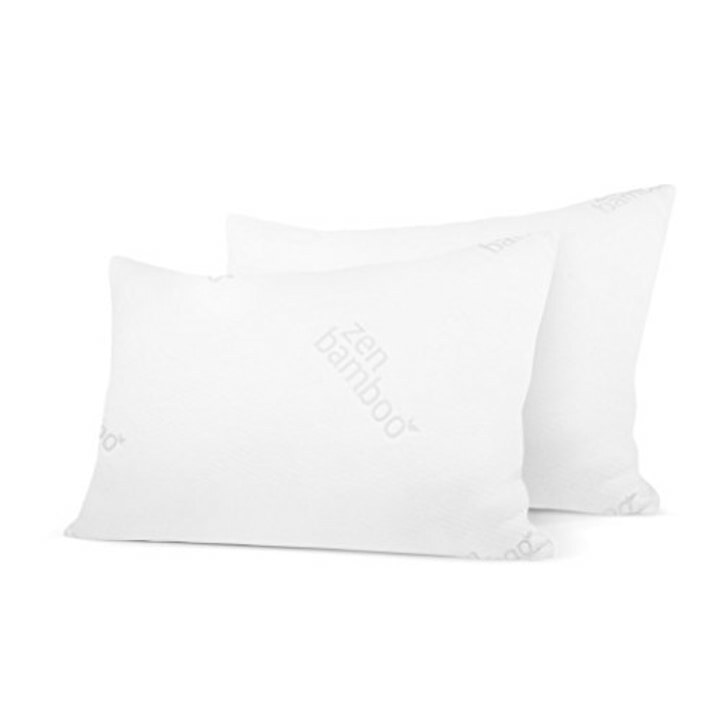 For $36, Beckham Hotel Collection Gel Pillow comes in a two-pack. As I opened it from the package, I wasn’t so sure. The pillows were a bit compressed in their packaging, I suppose for shipping, so it took a minute for them to fill to their full shape. Then, I gave them a squeeze and could definitely feel the “gel” inside ... so, I still wasn’t so sure. The only way to know if I liked them was to sleep! Funny enough, I’d recently started using the Sleep Cycle app to track the quality of my sleep, and after one night with this pillow, my sleep quality improved quite a lot! Plus, it was comfy! Unlike memory foam, this pillow doesn't get compressed into a firm, uncomfortable shape; in fact, it's quite flexible. It provides enough support without hurting my neck, but also provides enough cushion too. One reviewer described them as “not firm or soft but a perfect medium.” Agreed. According to the manufacturer, the pillows are dust mite, mold and mildew resistant, which is good just in case a bit of drool might end up on them (though I’m sure no such thing ever happens to me!). They are also allergen and chemical-free for those with asthma (me and my kids) and allergies. 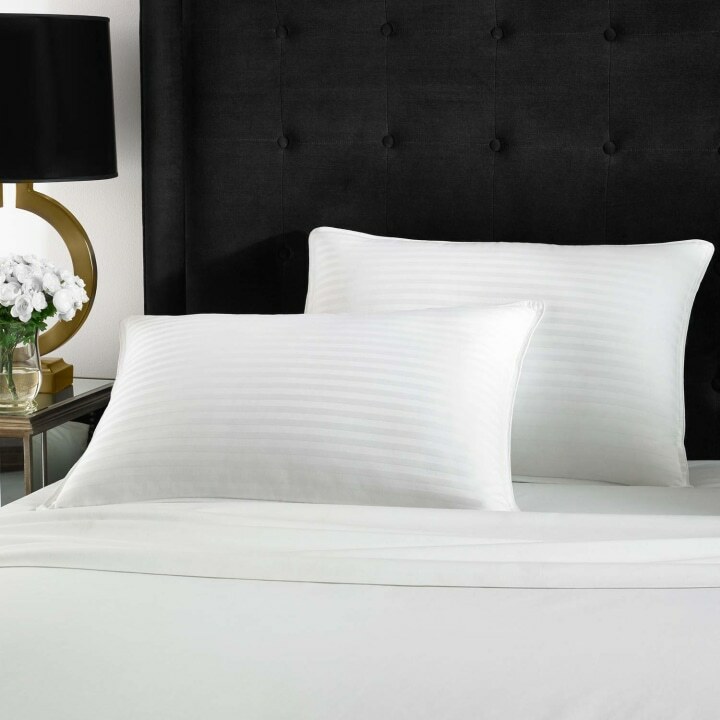 Most pillows become a lumpy mess when thrown in a washing machine, but the Beckham Hotel Collection pillows are machine-washable, which is handy for busy families. Bottom line: Are they worth it? While each person has a personal preference when it comes to the best pillows, I recommend giving these affordable gel pillows a try if you’ve had trouble finding a pillow you like. 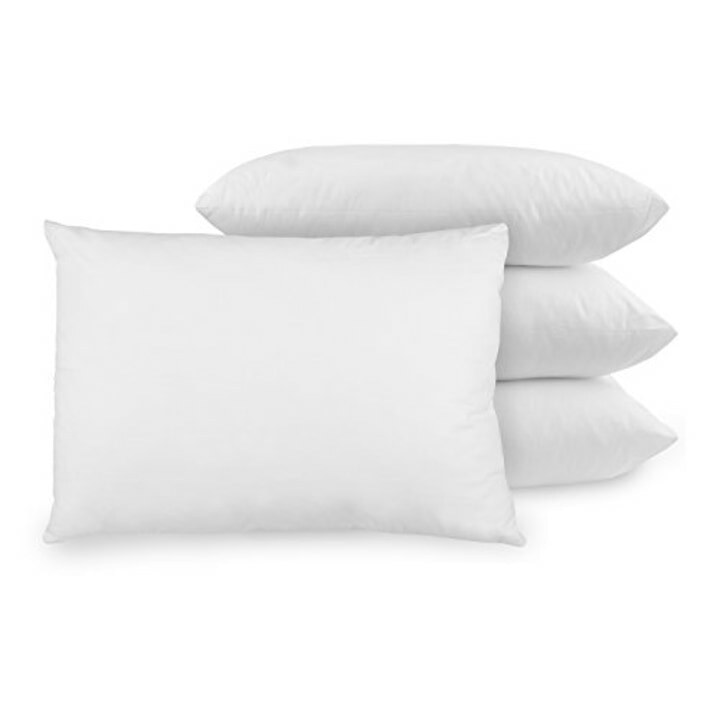 This set of four standard pillows is filled with more typical polyester fiber and is reasonably priced at around $37. The pillows, which are No. 5 best-sellers on Amazon, have a 100-percent cotton shell and are treated to resist odor and bacteria. You can also toss these in the washing machine.